There are so many ways to make money online, it can be hard to determine, if they are scams, or if they are actually ways to a real paycheck. So is the Panel Station legit? And can you really get paid for quick surveys right from your mobile phone? It does seem like it could be too good to be true. I can however promise you, it is not a scam and Panel Station is definitely legit! While Panel Station is not a scam, that does not mean that it’s automatically a good fit for everyone. This Panel Station review can help you figure out, if it’s right for you or not. What is the Panel Station, and what does it offer? Like most market research survey sites, Panel Station uses information provided by its users to help out its clients with their research. Companies pay Panel Station to collect information they need for their research to for example improve their services or products. In return the users (you) get reimbursed for your time and effort. It can therefore be a great way to have your opinion heard and get paid for it at the same time. Like any other legit survey site, Panel Station takes their users privacy seriously and takes multiple steps to ensure your information is secure, if you decide to join. The Panel Station app is easy to use and their website design is easy to navigate and features a handy FAQ section that spells out the answers to common questions. 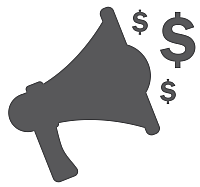 It is a pure survey sites, which means that more or less the only way you can earn money there is by taking surveys. This is not a bad thing, as sites that only offers this often are very easy to use. So let’s look a bit more into what you can expect from the surveys you will get there. What to expect from Panel Station Surveys? Panel Station surveys are the main way to earn points and you take them right through their mobile app. Contrary to many of the other survey sites I have done reviews of here at PaidFromSurveys.com, most of the surveys are done through the app (more about this later). The surveys generally take 12-15 minutes each, so earning points can be quick and easy. Instead of paying dollar amounts per survey, you earn points for each survey that can be redeemed for shopping vouchers, once you reach the 3000 point payout threshold. Each survey can get you between 500-5000 points, so you can get paid out from your very first survey, if you’re lucky! Usually you should however expect to have to take several surveys to reach the payout threshold. Once you join, you have to take a few short profiler surveys, so Panel Station can match surveys with you. So it is important to take these, to start receiving the paid surveys. You have to take a short profiler survey to start taking surveys. On average, you get 1-2 surveys a week. This is not a lot compared to the top paying survey sites, but it is a normal amount for a site that only offers surveys. It does however mean that you should definitely consider also joining other survey sites, as the Panel Station alone will not give you a lot of earning opportunities. If you end up not fitting what the company is looking for in a particular survey, and thereby do not qualify for a survey (it happens for everyone on more or less all survey sites), you will still earn twenty points for responding to the survey, so make sure that you’re responding to each survey, even if you are not sure if you are qualified! 20 points is of course not a lot, but I personally appreciate when a site at least gives a little consolation reward, when you do not qualify, as it can otherwise be quite frustrating. At times, you might receive additional surveys through text messages, postcard, or e-mail, if you have allowed this. It can be a good idea to allow them to contact you with these extra surveys, if you want to get access to as many surveys as possible. But if you do not want to be contacted and just take surveys through the app, this is also possible. You can also earn a little extra by keeping your profile updated and by taking special profile surveys. By completing the profile surveys, you will not only earn a little extra points, but it is also a way to make sure you will be matched with the surveys that fits you the best, and thereby there is a greater chance you will qualify for the surveys you are offered. So this is what you can expect from the Panel Station surveys. As I mentioned, this is the main way you can earn money here. There is however one extra way you can earn, if you are willing to risk your earnings and feel lucky – that is through the sweepstakes. If you’re feeling especially lucky, you can use your points to enter the monthly sweepstakes drawing for great prizes like Amazon gift cards. This is of course only relevant, if you are willing to potentially lose your earnings. It is a lottery, and therefore good chances you will not win. But if you feel lucky, it can be a way to win some great extra prizes. If not, you are probably better off just getting your rewards paid out (more about how to do this later). Additionally, there is a quarterly drawing that can get you a grand prize of around $275 or around $100 consolation prize. All you need to do to enter these quarterly drawings is to participate in the surveys sent to your inbox. Even if you aren’t chosen to fill out the full survey, each response is taken as an entry into the quarterly sweepstakes. The quarterly sweepstakes is a fun way to potentially earn bonus money on top of what you’re already earning through redeeming points. I have not seen that many websites offer cash sweepstakes on top of their rewards model for free, so it is a fun bonus that you just might get! Of course, nothing is guaranteed, but it never hurts to try! After you reach the 3000 point mark, you can exchange your points for Panel Station rewards. The Panel Station points value is that 1000 points is equivalent of around $1.5. This means you can get paid out, once you have earned around $5, so it is a pretty low payout threshold. The rewards are for example vouchers for a variety of merchants, from Amazon to Flipkart and more. You can also get PayPal credit for your voucher. You can choose between many great rewards on the Panel Station. Vouchers take 6-8 weeks to process, so you’ll have to be patient while waiting for your payout. Vouchers are delivered to your e-mail address with a PIN that you can use directly on the merchant’s website. Delivery is secure, but you will want to make sure that you have their e-mail address saved as a trusted user on your e-mail account, so your voucher does not linger in your spam folder! Personally, I do not really understand it has to take this long to process the rewards. I know it is to make sure the company paying for the research has approved it, but compared to some of the quick paying survey sites that pay out within hours, it seems like a very long wait. However, once you start taking surveys regularly on the Panel Station, the rewards will come to your regularly as well, because of the low payout threshold, and then you will not really notice the wait. 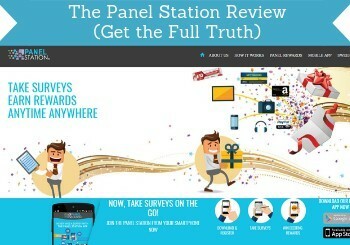 Like every other market research site, you’re definitely not going to get rich by taking surveys on the Panel Station. You can make some nice extra money on the side as a member, but you should not do it, if your are expecting to make a living from it. Remember that you can quit the panel at any time, but you don’t get to cash in any points that aren’t at a fully redeemable amount. If you decide to quit, before you can redeem your points for a voucher, you don’t get anything in return. So make sure to plan it to wait until you have redeemed your points, if you decide to quit the panel at some point. On some survey sites is can be very difficult to take surveys on the phone. And it can be great to be able to take surveys on the phone, as you can then earn a few extra bucks while watching the kids, waiting for dinner to be ready, while waiting for the bus, etc. The Panel Station is as already mentioned designed to be easy to use through their mobile app, as this is the main way to take surveys in this panel, so if you like being able to take surveys anywhere, this is a great option. The Panel Station app makes it very easy to take surveys anywhere and anytime. It’s free to download the Panel Station app, and it can be used on both Android and Apple. Because it’s through an app and not a website, you don’t have to worry about the website not loading properly or being truly mobile-compatible. Who can join the Panel Station? The Panel Station is open to you, if you live in Argentina, Australia, Brazil, Chile, China, Colombia, Germany, India, Indonesia, Mexico, New Zealand, Nigeria, Philippines, Poland, Russia, Singapore, Saudi Arabia, South Africa, South Korea, Taiwan, Thailand, Turkey, United Arab Emirates, UK, and USA. Be aware that there can only be one member per household. At times, you will however receive surveys that are for certain members of the household – for example for the teen in the household, the male/female in the household, etc. In these cases you are encouraged to have the appropriate member answer the survey – the money will then be added to your account. If you are not able to join Panel Station, whether because you live in the wrong country, or someone in your household is already a member, you can check out the best survey sites available in your country. What if you need support? If you are having trouble accessing your account, troubleshooting can be accessed right through the mobile app. If you have additional question or need further help, contacting their admin team through e-mail gets you a fast response. The exact contact email depends on the country you live in, so you have to check this for your specific country. You can also contact the company through their website, Facebook, Twitter, and Instagram. Typically you can expect to get a response within 24 hours, and the responses I have seen have been very courteous. While no market survey company is going to be part of the strike-it-rich scheme, Panel Station can be a fun way to earn some extra money on the side through a legit company. But let’s sum up the pros and cons, so you can get a better overview, before deciding whether it is for you or not. You won’t have to worry about the site not working on your phone, if you’re using their convenient mobile app to do your surveys, and unlike some research sites, Panel Station Review is available in many countries. If you haven’t joined a site because you haven’t found one in your country yet, this may be a good option. However, I would also encourage you to check out the list of the best survey sites in your country, as there are sites that give more opportunities than the Panel Station, so it is great to join other sites as well to get the most chances of earning. A great thing about Panel Station is however that there are tons of vendors to choose from when redeeming points, so there’s bound to be one that has what you’re looking for, and you can also get paid in cash through PayPal, which is my personal favorite.´, and it has a low payout threshold. You’ll have to wait 6-8 weeks for your reward, so make sure that it’s not something you need right away! Considering that the vouchers are all digitally delivered, it is quite a long turn-around time, and this is the thing I like the least about Panel Station. But overall it is definitely a legit survey panel, and it can be a good way to earn some extra cash. How to sign up for Panel Station? If you think this panel is a good fit for you, the Panel Station registration is quick and easy. Just click the link below, choose your country, and you will be able to join. You’ll get a confirmation through your registered e-mail address, then you’re all set to start taking surveys! Just remember to double-check that your country is one of the ones included on their list, or you won’t be eligible to earn. If you have any comments, questions, or have any experiences with the Panel Station yourself, I would love to hear from you in a comment below. The Panel Station is a legit survey site that is easy to use, and it can be a great way to make some extra cash. It has some great reward options and a low payout threshold. You just have to be a little patient, as the wait for the rewards is a bit long. Great to hear Sathmussain. Thanks for sharing.